Micromanagement typically has a negative connotation. Like bullies, micromanagers exert inappropriate influence over others through constant criticism and control by their excessive attention to small details. In time, negative effects of micromanaging on employee engagement and morale become apparent as productivity drops and turnover rises. The work environment created by micromanagement is inefficient and filled with unease. Employees who are made to feel that their work will never be good enough lose motivation and confidence in their ability to perform the tasks required for their position. Here are 7 ways micromanagement negatively affects employees. Constant surveillance along with excessive tweaking and input decrease productivity. Employees have to slow down in their work to process and implement the continuous input and changes to their workflow. It can also lead them to second-guess their ability to complete tasks independently. This results in a staff that becomes dependent on their manager for guidance in completing their work. Micromanagers essentially retain all of the authority employees need to take responsibility for doing their jobs. They also risk losing the advantages of their employees’ unique insights, skills, and talents because they have conditioned them to only do what they are told to do. People who micromanage also forgo opportunities to help their organizations more because they are putting more time into the lower level jobs of their employees instead of the more important work for which they are responsible. Chronic micromanagement often leads people to quit their jobs. It destroys the manager/ employee relationship. The persistent monitoring of everything they do, repetitively going over every element of their job, and redoing their work the way the micromanager would do it drains talented employees and sends them looking for work elsewhere. The momentum of the department decreases due to constant training and re-training staff. The time, effort, and resources required to hire and train replacements negatively impacts the company’s bottom line as well. When micromanaged, employees begin to feel a loss of autonomy. When this happens, they’ll slowly lose the desire to go the extra mile for a task and taking pride in what they do. They’ll limit themselves to what is demanded from their manager. Essentially, they stop trying, and their engagement levels fall. Micromanagers unintentionally or intentionally discourage others from making decisions by pushing aside the experience and knowledge of their employees when they take control over their work. Micromanagement destroys trust. Employees should feel trusted and valued by their manager and organization especially when it comes to doing their job. When micromanagers stifle an employee’s decision-making, it gives the employee the impression that the manager doesn’t trust them or believe in their abilities enough to complete the task at hand. Micromanagers can make employees feel powerless, unable to use their own resources, knowledge, and initiative to figure things out. Without trust, employees become resentful and disloyal. They either take their talents to another company or they stay and become deadweight, waiting for their manager’s instructions. A micromanaged workplace discourages teamwork as employees work less with each other and more or only with the micromanager. This can make employees feel undervalued and unappreciated. Teamwork creates synergy, empowers, and promotes better communication to achieve goals faster. Micromanagers undermine teamwork through their refusal or inability to delegate and their knack for criticizing and immersing themselves in the work of others. Their actions suppress creativity and insult the talent of their employees. The organization as a whole misses out on the benefits of having a highly effective team that is also collaborative and creatively solves problems. Employee engagement drives innovation, and empowering employees helps increase engagement rates. Micromanagement disempowers employees by not allowing them to get results in ways that work for them. This makes them feel less accountable for their results and less engaged. Micromanagers underutilize their employees’ skills, knowledge, and talent by controlling their every movement. They leave no room for employees to critique and improve their own processes to develop their expertise. When micromanagers treat their employees as order-takers, they diminish their capacity to innovate. Demanding creativity while jumping in to make decisions and adding pressure to work a certain way does not create a work environment conducive to innovation. Micromanagers over time exert a heavy toll on their employees’ health. Micromanagement increases employee stress that can affect both work and home life. An employee who has a hard time at work may give family and friends a hard time outside of work, thus damaging those relationships. It can also drive employees to smoke, drink, and overeat. This in turn leads to other health issues such as increased risk of heart attack, high blood pressure, and sleep problems. Employees whose manager is verbally or emotionally abusive experience emotional strain and lowered self-esteem. Being controlled at work without the ability to make decisions makes employees more likely to become depressed. Managers should exercise control with clear direction and guidance for employees to follow. 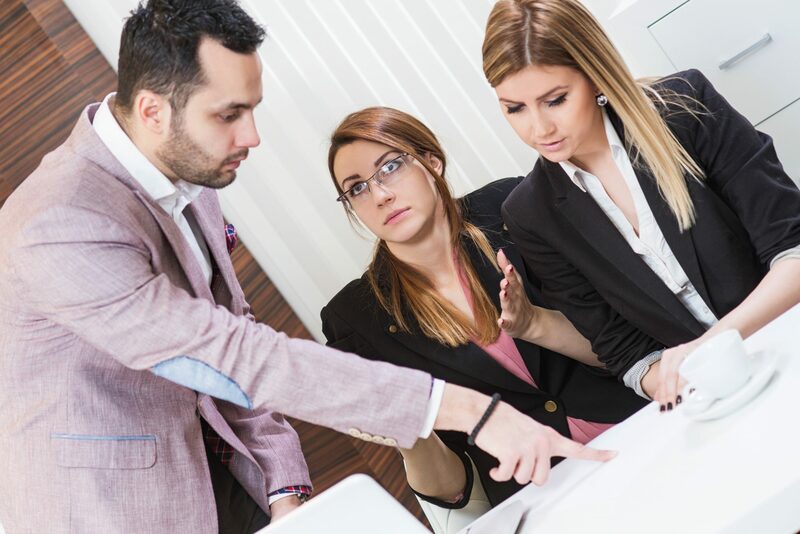 Once their employees learn their duties and responsibilities, they should be encouraged to perform their job independently while asking questions as needed to perform tasks. Through this process, employees are learning to be capable, confident and independent. Job satisfaction, creativity and morale increase. While some attributes of micromanaging may be necessary to perform certain duties in the workplace, they do not offer any benefits to productivity or employee engagement.